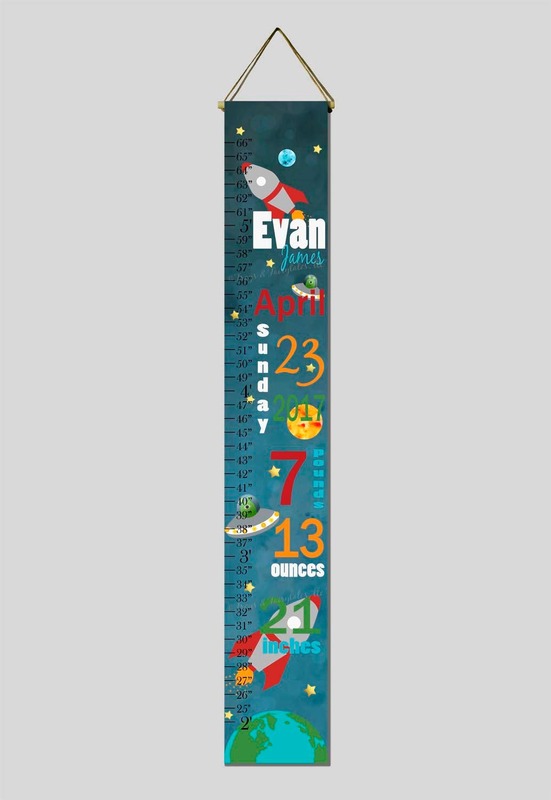 This Outer Space rocketship canvas growth chart would be the perfect addition to your little astronaut's room! The listing example shows two rocketships, 2 aliens, 3 planets, and many gold stars over a blue background with some fun outer space effects! Please leave all of the baby's birth information(first name, middle name, month, day of the week, month day, year, time-including am or pm, number of pounds and ounces, and length) in the note to seller section. You can choose to have it printed in the color scheme shown in the listing example, or choose custom colors if you'd like something other than what is pictured. Please use the note to seller section to leave your color requests. We will message you with a proof to approve before printing. 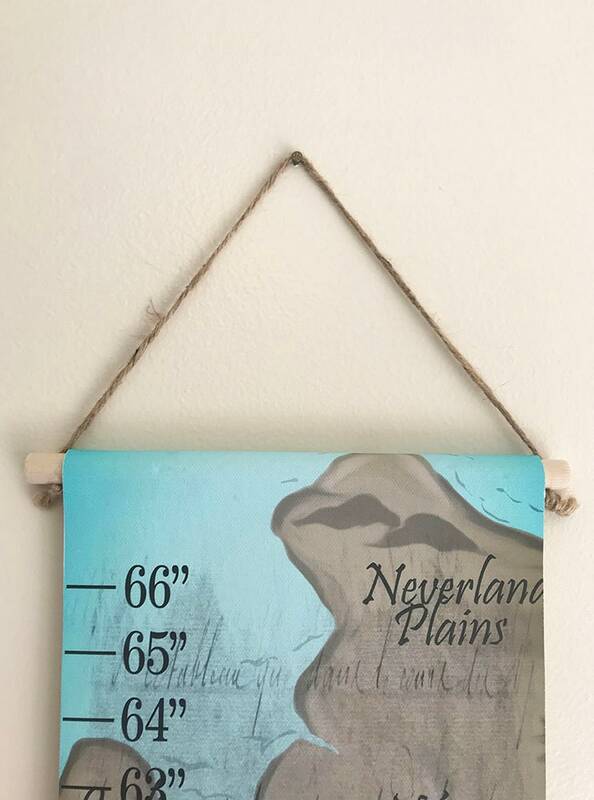 Our growth charts have a dowel on the top and bottom. The dowel rod at the top has twine attached for hanging. Watermarks will not appear on your actual print.